David Foley, a lonely, divorced businessman, is devastated when his only son dies at the hands of a terrorist in Saudi Arabia during the Gulf War. Only the contemplation of his imminent grandchild rallies him from a debilitating depression. David sells his successful Boston business, leaves New England, and moves to Louisville, KY to be near his son's pregnant widow and await the birth of his granddaughter, Liesl. When his daughter-in-law dies while birthing Liesl, David assumes the guardianship of the infant, changing his life forever. An avowed atheist, he's often at odds with Madonna, the deceased woman's staunchly Catholic sister who, along with her husband, has her own seven-child family. Though he wears his atheism on his sleeve, David realizes a relationship with Madonna and her family would benefit his granddaughter. The religious polarity causes him to deftly maneuver through precarious conflicts in search of the elusive common ground between Madonna's devout Catholicism and his own passionate impiety. 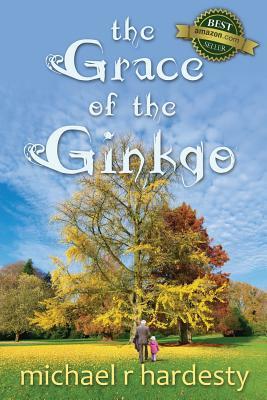 Hardesty takes advantage of his narrative's twenty-four year time frame to create a wide cast of memorable characters that populate David and Liesl's world. These include Dexter, a dangerous fugitive who confronts them in a road rage incident, Emily, a single mom who David meets while tending Liesl in a local park, and Samantha, a banal but lovable teenager who becomes Liesl's embedded babysitter. There's also Sheila, the wealthy, married, and promiscuous mother of one of Liesl's classmates, and Joel, a teenage schoolmate of Liesl's, who David stumbles upon in a compromising position with his granddaughter. Enter Justine, a recently divorced and transplanted classical musician on whom David has definite designs. Next comes Alan, a grad student Liesl falls in love with while away at college, then Nestor, a brutal family abuser who preys upon his wife and daughter, both clients of Liesl, now a counselor at a woman's shelter. As David flits between crudity and gentility, the story itself seamlessly conveys the reader between humor and poignancy, hope and despair, performing arts and violence. David's final two dramatic acts beg the questions: were these noble and courageous deeds, or evil and cowardly actions. Is this a man of probity, sometimes failing his own standards, or is he an immoralist, wrapping himself in a mantle of culture? ". . . a well-written and poignant story . . . Hardesty is an excellent writer, drawing me in from the start.A confirmed atheist, David Foley surprises his friends and extended family members with his sensible but unorthodox (grand)parenting skills. His orphaned granddaughter, Leisl, learns that morality comes in many forms, and that her grandfather's belief system may not model the religious undertones of her deceased mother's family, but that the grace of good deeds stands firm in both arenas. A compelling novel of unusual life events, told with honesty and unabashed self-reflection. Just as the reader assumes that all such stories have a happy ending, a new twist appears to remind us that happiness is in the imagination of the reader. An interesting story, one that I do not believe has been told before.."
". . . a moving narrative about beating one's past, understanding one's present, and confronting one's place in the universe. Hardesty guides the reader with a deft hand through David Foley's raging internal battles waged between his coarseness and his urbanity, his temper and his equanimity, his Catholic upbringing and his professed atheism. Definitely a five-star read." Offbeat Grandfather "David Foley is a very likable and inspiring character. The author describes the ups and downs, the adjustments, frustrations, and the humorous moments that all parents and grandparents experience with great insight and observation. I loved the relationship that develops between Foley (Poppa) and Liesl, the granddaughter he raises from birth."